The phenomenon of conducting any sorts of transactions with the help of electronic communication technology such as the Internet, e-books, e-mail, extranets, mobile phone , and databases if popularly known as �E-COMMERCE�. The online transactions that occur can be anything ranging from selling, buying, distributing, and marketing of products over the internet. Basically any type of transactions between companies and customers (B2C) and between companies (B2B) can be categorized under E-commerce. 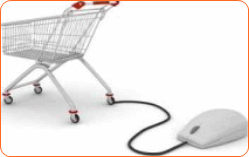 The one and only thing that makes E-Commerce more sensible is electronic Shopping Cart. It keeps track of your purchases made and leads you to final transactions. E-Business can be explained as the creation of new and redefining the existing value chains and business processes through the application of information technology. Naturally, e-Business is more than e-commerce. It expands the scope of e-commerce by transforming the company and the industry itself by including not just the phenomenon of buying and selling but also, servicing and collaborating with new business partners. Whether it is an established business or a new venture, we help you capitalize on new opportunities. 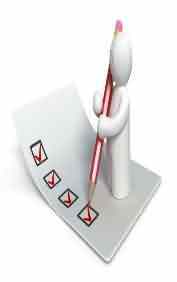 At jJNavSofs, our global team of forward thinkers can help you transition your company into an e-business. Addressing your business model and target audience. We have the technology, marketing and business strategies to develop and implement critical business solutions. Expanded web market reach, streamlined processes, content delivery, network and application services that are designed to break barriers to provide an excellent customer experience is our sole aim of development.